We've got a few, great New ShellBack Chest Rigs for you to check out and we're gonna tell you all about them today. First up, the ShellBack Tactical Go-Time Triple Mag Chest Rig. This Rig was made and designed due to many requests received by Shellback. It has three pouches sewn on the front with bungee pull tabs. The way they evolved this rig even further was by adding the three rows of PALS webbing across the front of the pouches, allowing even more versatility for the wearer. The pouches on this particular rig will accommodate the following: .223/5.56 AR-15/M-4 type 30 round magazines, MAPUL PMAGS, CAA countdown mags, Lancer L5 Translucent, HKSA80 mags, GI magazines, Colt Magazines, Thermolds, and any steel aluminum type 30 round mag variations. Clearly, this thing can be used with a HUGE variety of ammo. The quick detach system is a one-handed operation. The padded curved neck strap keeps you comfortable when wearing for long periods of time. And the interior pocket will fit 2 different soft armor plates. This product has a lifetime warranty and is made in the USA. Next, the ShellBack Go-Time Chest Rig. This guy is the original. It was designed and developed to allow a law enforcement officer to have a low profile chest rig with all the necessary equipment to combat in a dangerous active shooter situation. It has an integrated double rifle magazine pouch allowing you to carry two rifle M4 Type magazines and two pistol pouches allowing you to carry (2) double stack pistol/handgun magazines or (4) 1911 type pistol mags. The Go-Time Original will accommodate the following: .223/5.56 AR-15/ M-4 type 30 round magazines, MAGPUL PMAGS (with or without Magpuls and Ranger plates), CAA countdown mags, Lancer L5 Translucent, HK SA80 mags, GI magazines, Colt magazines, Thermolds and any steel or aluminum type 30 round magazine variations. 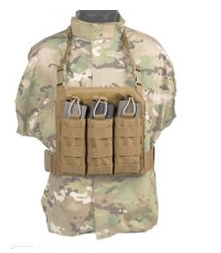 Lastly, the ShellBack Tactical Fury Chest Rig. 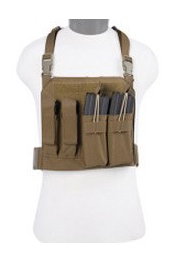 This ShellBack Furty Chest Rig is the H-Harness type rig and includes two Molle Pouches. It accommodates weapon magazines from multiple weapon systems to allow for versatility. 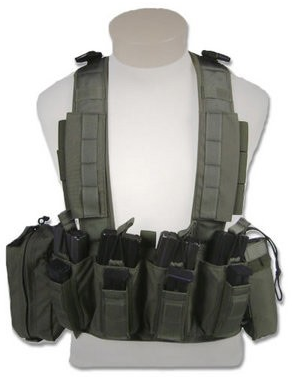 The Four center mounted pouches can hold any style/brand M4 Magazines including SCAR light mags, M14 magazines, 7.62 AK-47 magazines, .308 type magazines, and HK91 magazines. The bungee retention straps can be adjusted to fit your particular magazine. On the front of the rifle pouches are (4) Universal pistol magazines pouches with magnets that will hold up to 9mm (double stack), .40cal (double stack), 1911 type .45 and .45 (double stack) magazines using universal pistol pouches. These are also great for multi tools or folding knives. At each end of the chest rig is 3 rows of P.A.L.S. webbing. The center pouch behind the magazines can be used as an admin area for extra handcuffs, tools, flashlights, or whatever you need to have on hand. Or it can be used to hold a handgun. The comfortable padded shoulder straps have multiple routing channels for communication cables, hydration tubing, flex cuffs, etc. When looking for just the right Chest Rig, consider these ShellBack options. All of them come in different color combinations to suit your needs. Shop Chest Rigs on GidTac, today. 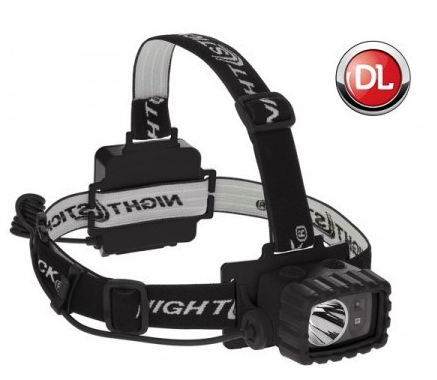 Hands-Free lighting is helpful in a ton of situations, and this new NightStick Dual-Light Multi-Function Headlamp is ideal when maximum lighting is needed with a maximum run-time! The top mounted dual switches give you different options. You can either give out a white spotlight, high and low brightness white floodlight, red floodlight and dual-light. Headlamps aren't everyone's cup of tea, but when designing this light NightStick made sure to think about everything. The battery compartment is located in the back, which gives optimal balance whether the light is worn directly on the head, or on a hard hat. There are even two straps that come with this headlamp. 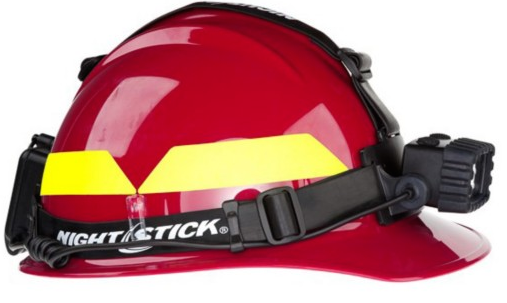 There's one that's a heavy duty rubber head strap for use on a hard hat, and then there's one that's a non-slip elastic head strap for use on a ball cap or directly on the wearer's head. Power is simple--just use 3 AA batteries which are included and can be found nearly anywhere! You may be wondering why a Red Floodlight. Red is proven to preserve vision in low or no light situations, it's also good for map reading and weapon loading! Get your NEW NightSTick Dual-Light Headlamp here. Oakley is a brand you recognize, know and trust when it comes to your eyewear, but did you know they make some awesome apparel, too? They've recently come out with three great outerwear options and we're going to tell you about these quality pieces, today. 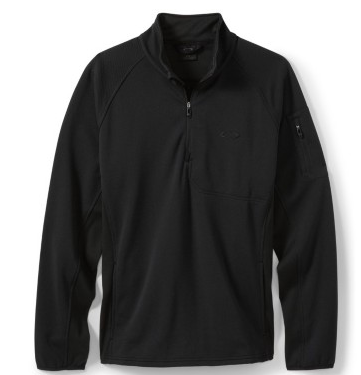 First up, The Oakley Hydrofree 1/4 Zip Fleece. The Oakley Hydrofree 1/4 Zip is a great option that blends both style and performance into one comfortable fleecey solution. With a name like "Hydrofree", you know that that it must mean it's made with a material made to repel water and dry quickly. No one wants to be wet and uncomfortable on the scene in rain or snow. There's no need to worry about that with the Hydrofree material! The great set-in ribbed side panels allow for maximum mobility, and the internal chest pocket and fully zipped arm pocket keeps important items safe and secure. If you want to stay safe, comfortable, dry and WARM this cold winter, then the 1/4 Zip HydroFree Fleece is for you! The Oakley Stretch Softshell Jacket is another great option if you're looking for more protection from all the elements that includes enhanced mobility and flexibility rolled into one. The "stretch" part comes from the polyester and spandex combo that also makes a great blend to give a thermal shield against the cold. One thing you might like about this jacket is the option to have a hood. It's detachable and adjustable at that! There's a nice little chest pocket for storing important items, phones, mp3 players, and more. If you're looking for a quality jacket that's flexible, safe, secure and comfortable, the Oakley Stretch Softshell Jacket may be it for you. 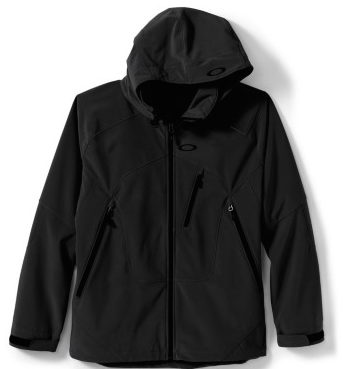 Lastly, the Oakley 10K Hooded Jacket. This is an amazing jacket that was actually made in collaboration with pro skiers and snowboarders! The 10K Jacket combines warmth, breathability, and comfort into one jacket that will protect you from the chilliest of winter's. 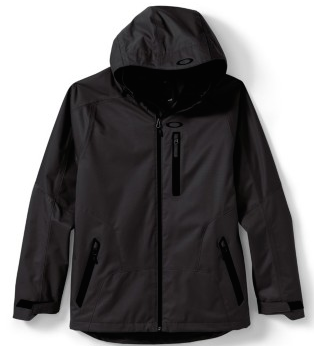 The outside is a Gore-Tex membrane that's bonded to the outer shell of the fabric making it waterproof. The mesh inserts on the sleeves help provide you with underarm ventilation, which is needed when you're using this on the slopes. It features a detachable, adjustable hood and a chest pocket for storing accessories that wearers love. Enjoy these three new Oakley Outerwear options and more here! This New Bushmaster is starting off with a BANG! 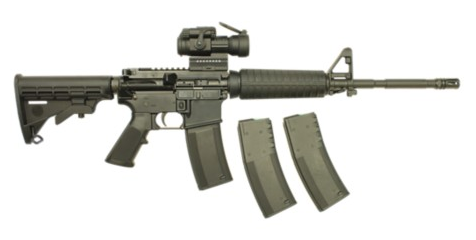 At a clearanced priced, it's worth a look at the Bushmaster Model 90665 A3 Standard Patrol Carbine. This bad boy has an Aimpoint Patrol Rifle Optic Sight PRO, with 30 Rounds of BattleMag, looking sleek and strong in saving seconds when executing magazine changes! 2 MOA Dot uses eye-safe LED to produce a 650mm red light dot at 2 minutes of angle for accurate target engagement. When ordering a gun from Gideon Tactical there are standards and procedures that must be followed! First, you must check your local laws for restrictions before ordering firearms. To complete your firearm purchase online, follow the normal checkout process. IMPORTANT: You must include your Federal Firearms Licensee (FFL)'s name and phone number in the comment section before you click "Place My Order". Get your Bushmaster Model 90665 A3 Package with Aimpoint Pro and Troy Magazine, today! It's pretty likely that if you spent good money on your gun, and it's important to you, that you'll keep that bad boy cleaned and looking good. We know that gun cleaning accessories are important and not just anything can be used to shine up that weapon. At Gideon Tactical, we've got you and your gun covered with all sorts of great supplies to keep it shiny and new for years to come. Cleaning your pistol can be intensive and time consuming, but not with this great Carbon Killer Gun Cleaner! It dissolves carbon and lead on contact and designed for soaking metal parts with baked-on carbon. Most products aren't reusable like this, but Carbon Killer IS. This product is actually non-hazardous and biodegradable, not to mention non-flammable. 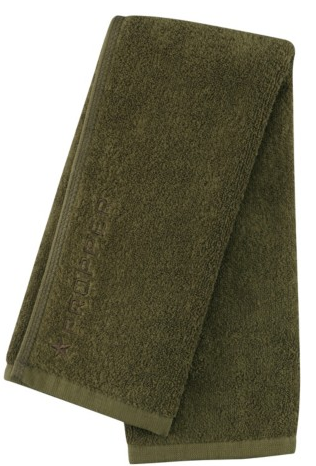 Wipe it down with this 95% cotton/5% polyester blend utility towel. Perfect for weapon cleaning, sports and training. It's got a nice subtle tone-on-tone embroidery and at 25"x15" it'll be put to good use. If you want a kit that has it all--this is it . Packed filled with cleaning supplies, here's the rundown. 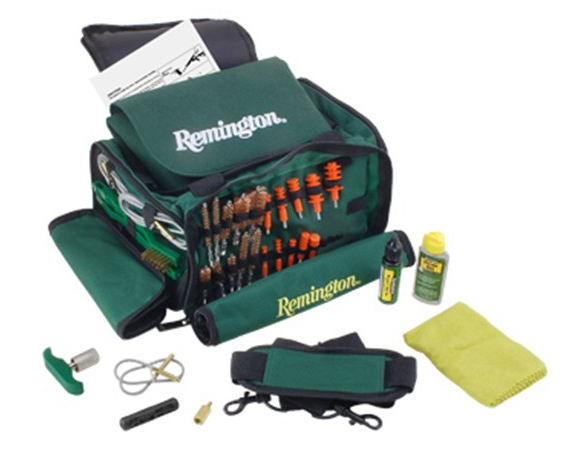 Based on the revolutionary Rem Squeeg-E, which eliminates the need for cleaning patches, the system includes all the tools needed to clean almost any firearm, from a .22 caliber handgun to a 12-gauge shotgun, conveniently packed in a green canvas range bag with shoulder strap. The fun doesn't stop here. Oh no! We've got three pages of supplies and products to clean those guns. From special brushes, to lubricant, to weapons grease and more. Be sure to go ahead and check it out keep your gun maintenanced well! Shop Gun Cleaning Supplies and more! NEW Pelican 2380 Flashlight-Perfect on the job. The NEW Pelican 2380R is an awesome brand new flashlight that combines all the latest and greatest technology together into one great product! This new light features the "Slide-Beam Technology" (taking you from spot to flood), the ability to recharge via USB, a full time battery level indication and more. The high performance LED is BRIGHT, bright, bright and gives you multiple mode options. Pelican wanted to keep it compact in design--small but mighty. This light has got it all! The 2380R offers 3 different modes: High/Strobe/Low. On high mode you have the ability to achieve over 300 lumens with 3 hours and 30 minutes of run time as well as 30 lumens on low mode for up to 25 hours! This is truly a testament to the versatility of this great little light. Instantly, the spot to flood beams are achieved with the use of the patented reflector design. We love that the single indicator LED gives you continuous monitoring of the battery level as well as charge-status! It also possesses the ability to transition from rechargeable to disposable formats and the micro-USB charge cord is included for recharging through it's sealed door. This light includes a battery canister that allows for use with two CR-123 disposable lithium batteries. 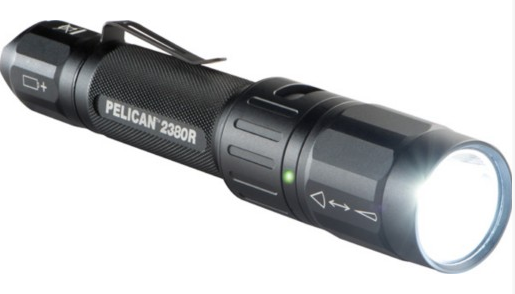 Get your new Pelican 2380 Light, today! Looking for Bump Helmets? We've got them at Gideon Tactical. The bump helmet is designed to provide a lightweight design that can protect your head from blunt trauma and impacts. They're great for training, legit operations, roping, climbing, military, etc. We've got a great Bump Helmet option we'd like to show you by Team Wendy, and some great accessories that go with it. This EXFIL Carbon Tactical Bump Helmet is the first carbon fiber helmet made with our next gen helmet liner technology. That technology was largely developed under an Army Natick Soldier RD&E Center program, and features a hybrid sling/polymer structure impact management system that offers improved multi-impact performance. The liner allows for awesome flow and ventilation. 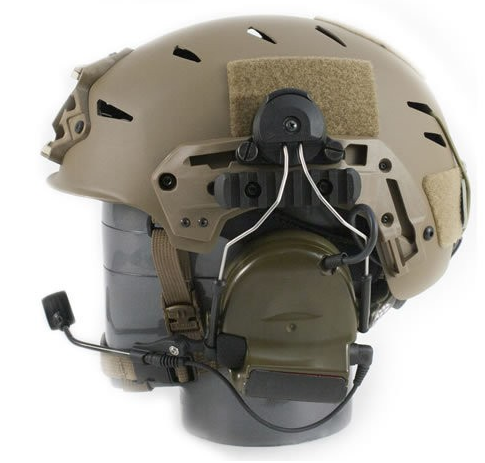 It has clearance for all popular communications headsets and is currently available in black, flat dark earth, and multicam. 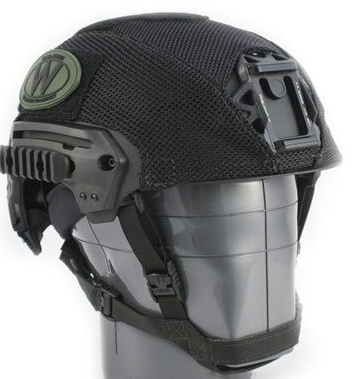 Read more about the EXFIL Carbon Tactical Bump Helmet here. 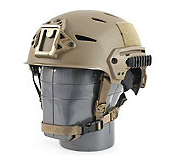 This Bump Helmet is great because it works with all Peltor COMTAC systems. It eliminates that uncomfortable, rigid metal headband and provides a bitter fit and comfort. It has an easy 2 thumbscrew attachment and allows the system to be easily adjusted while remaining secure with universal hardware. It's made to allow headsets to easily rotate providing you ventilation in hot environments, and wiring can even easily be routed in or outside the helmet shell! See more about the Team Wendy T-Slot COMTAC adapter here. The mesh helmet covers are made of a great nylon (multicam is polyester) and designed for use with the Team Wendy's EXFIL helmet shown above. It's such an easily installation and removal with the hook/loop attachment and allows rapid change of the camouflage helmet pattern with zero tools required! The mesh cover is designed to allow full use of the goggle retention system and won't get in the way. It also allows air flow through the helmet vents. You can choose from 3 different color/pattern combos for whatever suits your needs or demands. Read more about the Mesh Helmet Covers here. NEW Streamlight: Scorpion X C4 LED Tactical Flashlight! The NEW Sreamlight Scorpion X is one to take a closer look at! At a $50 price-point, for all it's features and benefits, it's well worth the great price for a light whose abilities will come in handy in a variety of situations. It's both durable and versatile, with the new C4 LED technology, it's got a lifetime like no other. The light has three beams to use. High emits about 200 lumens, and can run up to 2.5 hours with a peak beam intensity of 550 candelas. The low beam emits about 10 lumens, can run for up 50 hours and a has a peak beam intensity of 550 candelas. We love the strobe mode the Scorpion X features! It emits a light at a momentary, variable intensity, and can be used one-handedly with a simple push-button tailswitch and is a great tools to defend against potentially dangerous people or situations. 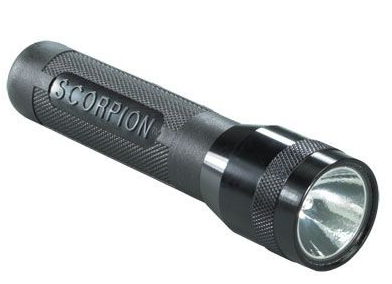 The Scorpion X is a valuable flashlight tool for anyone in public safety looking for a reliable light that will do the job. 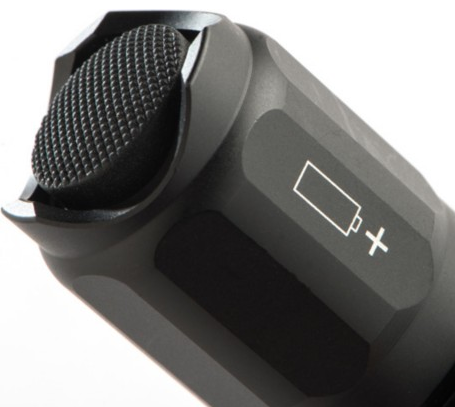 Multi-function, push-button tactical tailswitch allows for one-handed operation of strobe mode. C4®LED technology for extreme brightness. Get your Streamlight Scorpion X light right here! Good Morning! Stopping in to tell you about two great packs you're sure to love. Read about them both then decide which is the best for the adventurer in you. 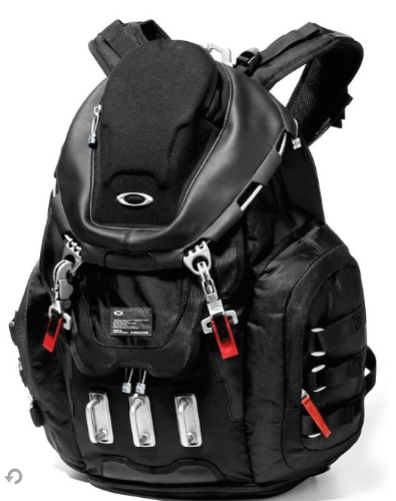 If you're looking for heavy duty in the back-pack arena, the Oakley Dry Goods Pack is it. It's built with a special abrasion-resistant fabric making it virtually impossible to get holes from rugged wear and terrain, and the triple reinforced stitching help it withstand the test of time. The addition of the premium zippers help it to withstand anything a modern athlete can throw at it! The great, top-loading main compartment provides plenty of room for rugged gear. There's even a padded laptop sleeve that will make carrying your laptop around easy, but keep it safe in the meantime. The padded sleep protects your computer from impacts this rucksack will surely endure. It has an organizer panel and specialized pockets for smaller essentials, too. There is no doubt that the Dry Goods Pack offers the durability and versatility required by the adventurer-at-heart. You figure with a name like that it's got to be good, right? Outfitted with some serious hardware and crazy versatile storage options, the Kitchen Sink BackPack is a complete packets with heavy-duty appeal. If you're just taking a day trip, or a long, extended excursion, the Kitchen Sink BackPack is perfect for both. It has specialized pockets both inside and out to organize items and keep them safe. The abrasion-resistant fabric keeps your pack in tip top shape in the toughest of circumstances and will even keep up to a 17" laptop nice and padded/safe with a side access zip. The padded back adds extra comfort and the adjustable mesh-lined shoulder straps keep you comfortable and cool when hauling over long distances. It's even equipped with a hard media-player compartment with reinforced clip and zip closures. It's got a water bottle side pocket so you can quench your thirst quickly, and a bottom shoe compartment giving ample storage. So now you choose. Which will be the BackPack for you? 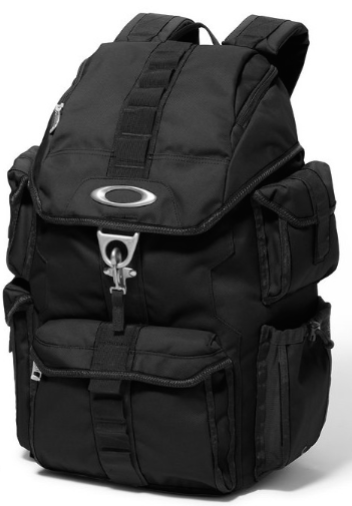 The Oakley Dry Goods BackPack, or the Kitchen Sink BackPack? Whatever the choice, you can't go wrong with an Oakley Backpack.